The all-new Mercedes-AMG GT C Roadster is perhaps the most anticipated sports car to be officially unveiled at the 2016 Paris Motor Show, after the model was long-discussed, debated and previewed. And the 22-minute video below is completely dedicated to the car`s manufacturing, highlighting all-together the German engineering, craftsmanship and dedication towards the building of the perfect ride. 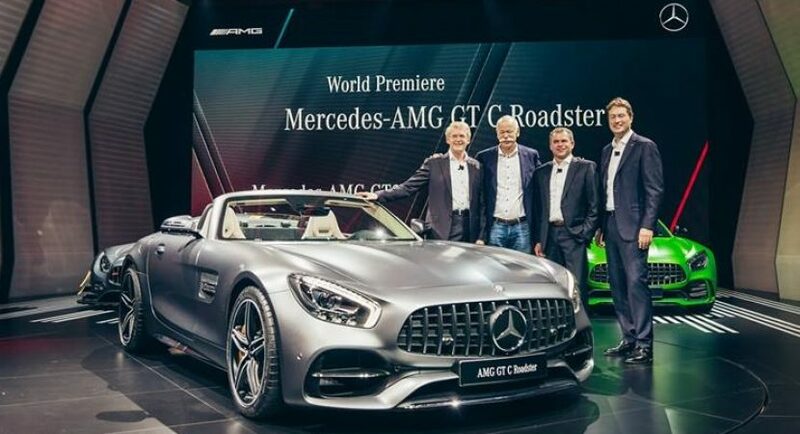 The Mercedes-AMG has welcomed the GT C Roadster to the rest of the lineup being presented at the big event, the model being introduced to the public by no other than Tobias Moers, Chairman of the Management Board Mercedes-AMG. Even if the video says it all, we can`t help it and have to praise the astonishing model in a couple of words. Besides the exclusive body styling and design lines which reveal the manufacturer`s dedication, the model is also the epiphany of sheer power. Also, one of the car`s main highlights concerning mechanics, is the AMG high-performance exhaust system, along with the active air management system, now coming available as standards and previewing massive power under the hood. Speaking about power, the Mercedes-AMG GT C Roadster stands between the GT R and GT S and comes with massive twin-turbo engines that allows 557 horsepower and 680 Nm of torque, meaning that it can sprint from 0 to 100 km/h in just 4.0 seconds, at a topping of 302 km/h. The soft top can also be electronically raised or lowered at speeds up to 50 km/h. Enjoy the 22-minute video presentation with the Mercedes-AMG GT C Roadster at the 2016 Paris Motor Show!